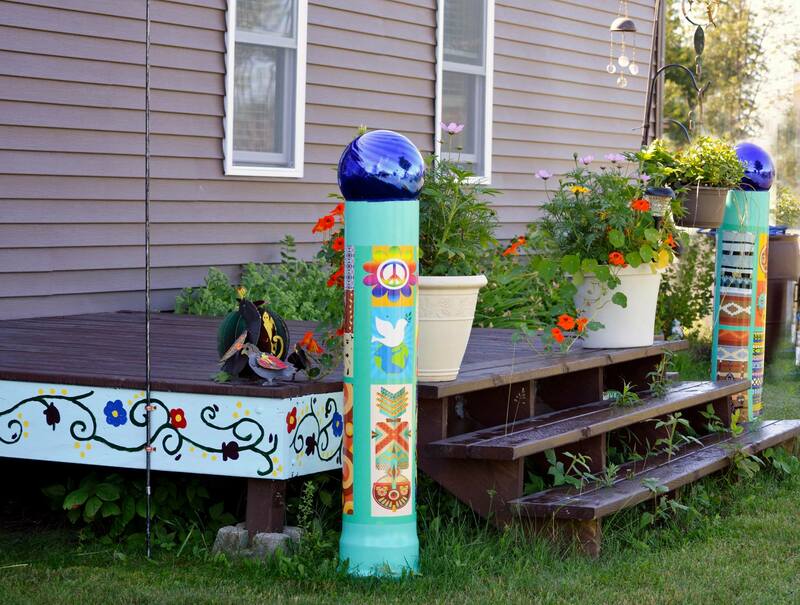 A customer contacted us and wanted to turn a new PVC pipe into something that looks artistic. We had never done a project like this before, but knew we could make it happen after they explained what they were after. 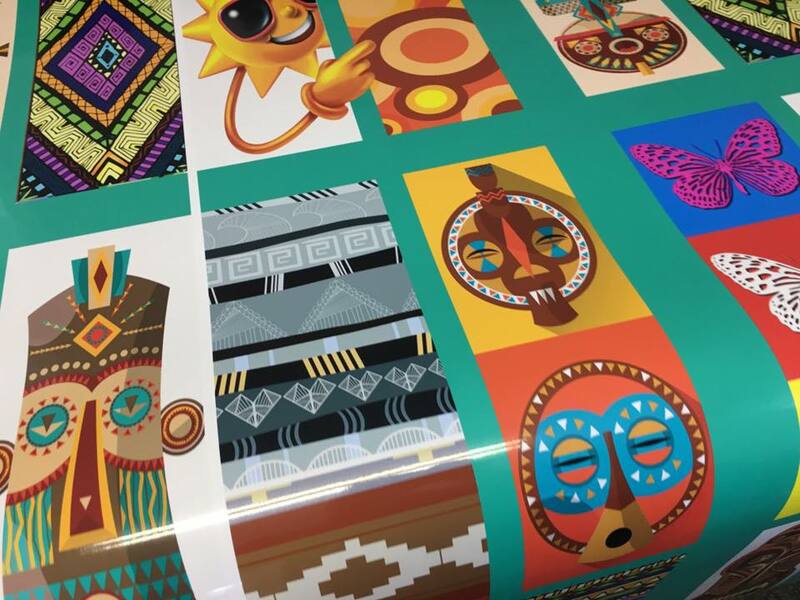 The customer provided their high-resolution artwork, and we printed their design onto our high-quality wrap vinyl, which is perfect for wrapping around curved surfaces with ease. They were understandably a little uneasy about the installation, because after all, installing vinyl can be difficult if using the wrong materials for the job. 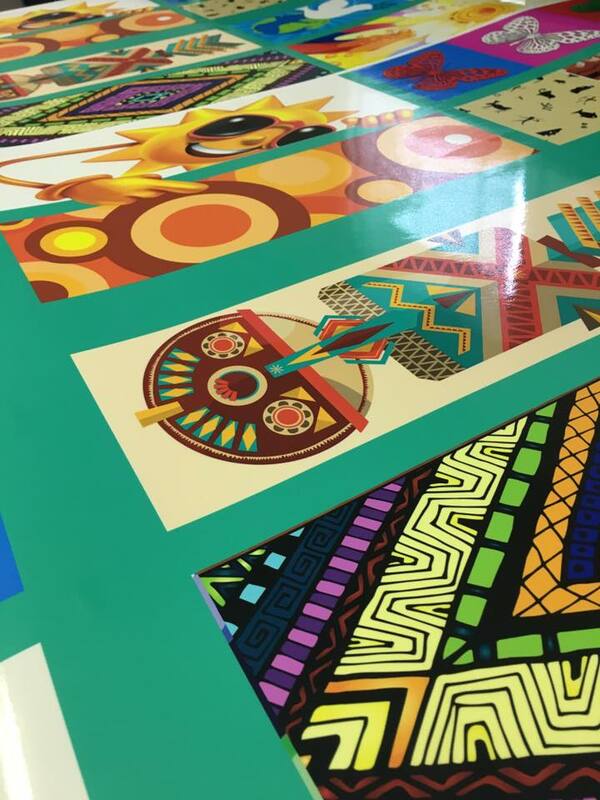 Our wrap vinyl is compliant and forgiving to work with, which is why we recommend this material for large format installs. With some basic instructions over the phone on how to install the material to the pipe, the end result was perfect! 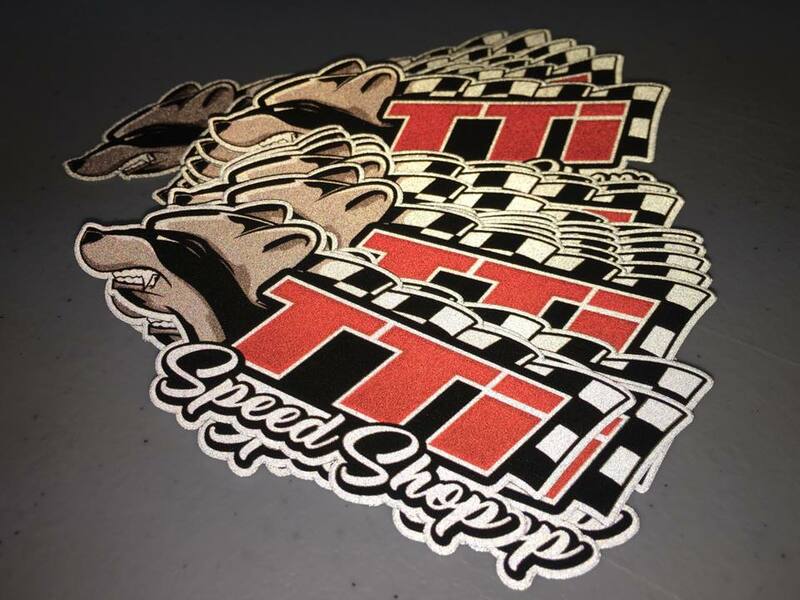 They will have many years of enjoyment out of their project and we love to see customers turn something so basic into something artistic with a simple sticker installation. Electrical Safety Specialists maintain their client base by applying one of our Premium White Vinyl Stickers to each piece of electrical equipment that they have come in contact with. This simple sticker install can make the difference between the customer calling them to fix a issue, or trying to Google a completely different company who may or may not be best for your client. 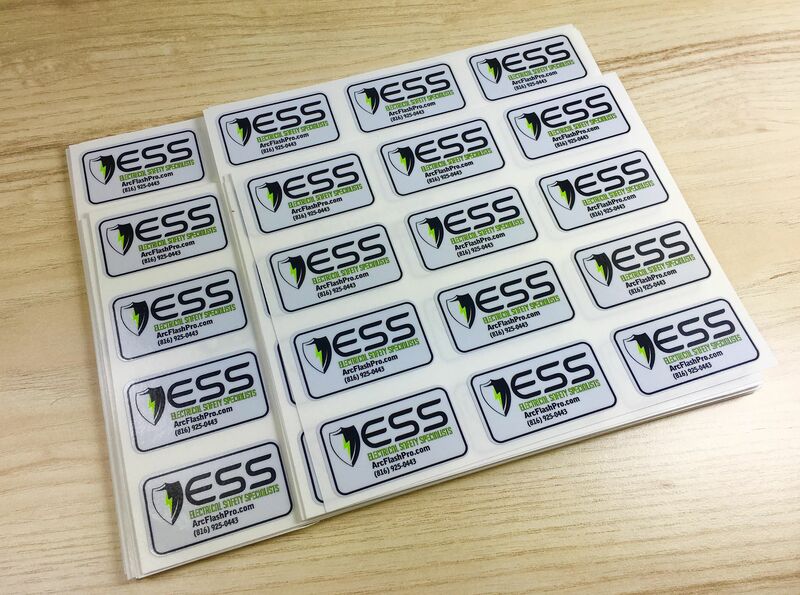 ESS uses Premium White Stickers knowing that they are laminated to protect the print from grease, grime and mild chemicals and have a 3+ year outdoor life to ensure their stickers will last for the long term outdoors. 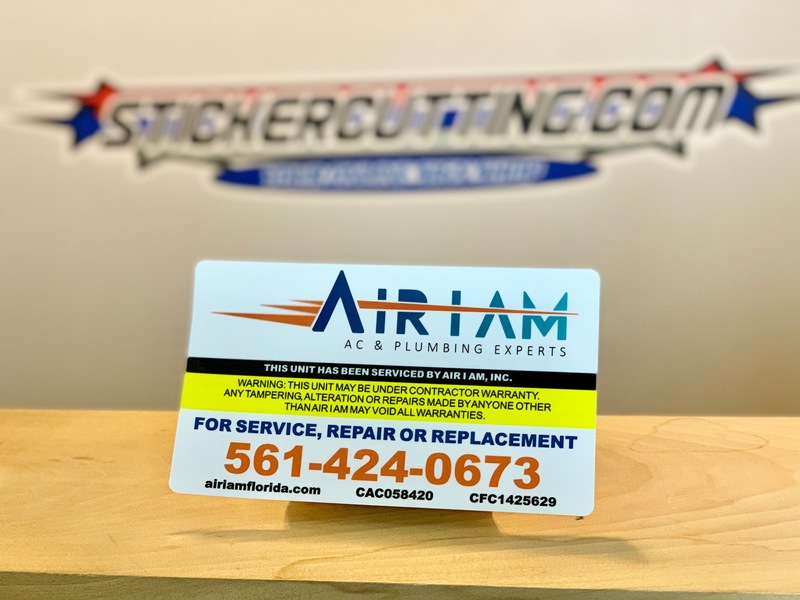 A customer may not even know the sticker is applied until an issue arises, so be sure that the stickers are applied in an easy to find, safe place for the client to find it. Bluffs Landing Marina and Lodge uses our Face Adhesive Stickers to identify who has a launch permit for each boating season. With our simple to apply and identify Face Adhesive Sticker solution, Bluffs is able to quickly check who should and shouldn’t be using the boat launch areas. Each season a new color is ordered to make the identification process simple and straight forward. This sticker type is perfect for this application as they are applied inside the glass and show outside the vehicle. 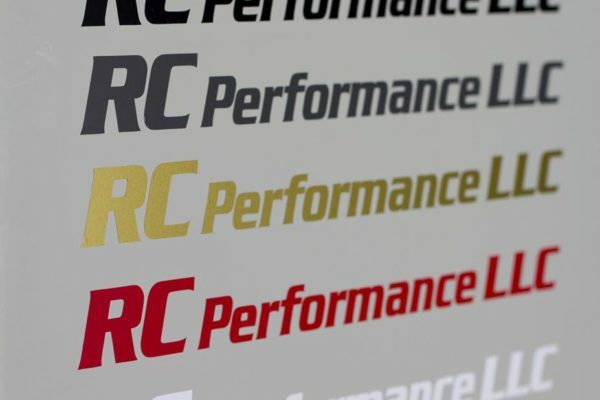 If your stickers need to be applied as a long term solution, no need to worry, our stickers are printed onto high-quality vinyl with outdoor inks, making them ready for a harsh life in the sun. 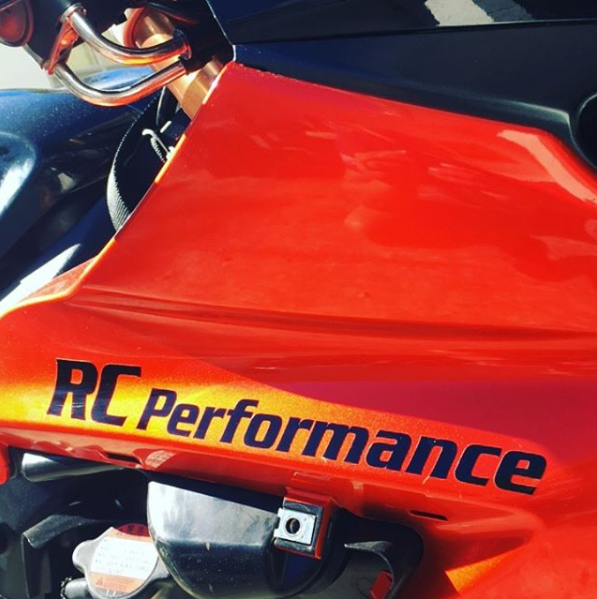 RC Performance LLC utilizes our Die-Cut stickers to advertise their company name on car windows, motorcycle gas tanks and even apply them to customers racing motorcycles. A single Die-Cut Sticker can be viewed thousands of times over it’s lifespan. 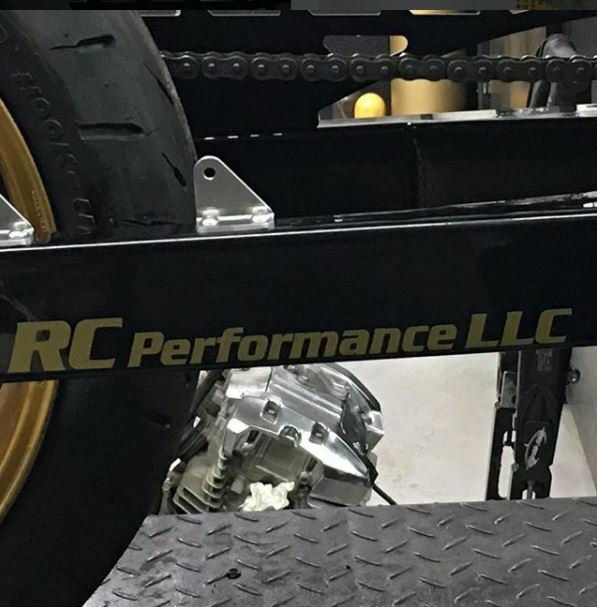 With a few seconds of application time, a customers vehicle can quickly and easily be turned into your companies rolling billboard. A customers car could potentially pass by thousands of vehicles a day, making your company sticker visible to potential clients. If you handed out stickers to 500 customers, who then applied the stickers in the same manner to their vehicle, you now have 500 rolling billboards. 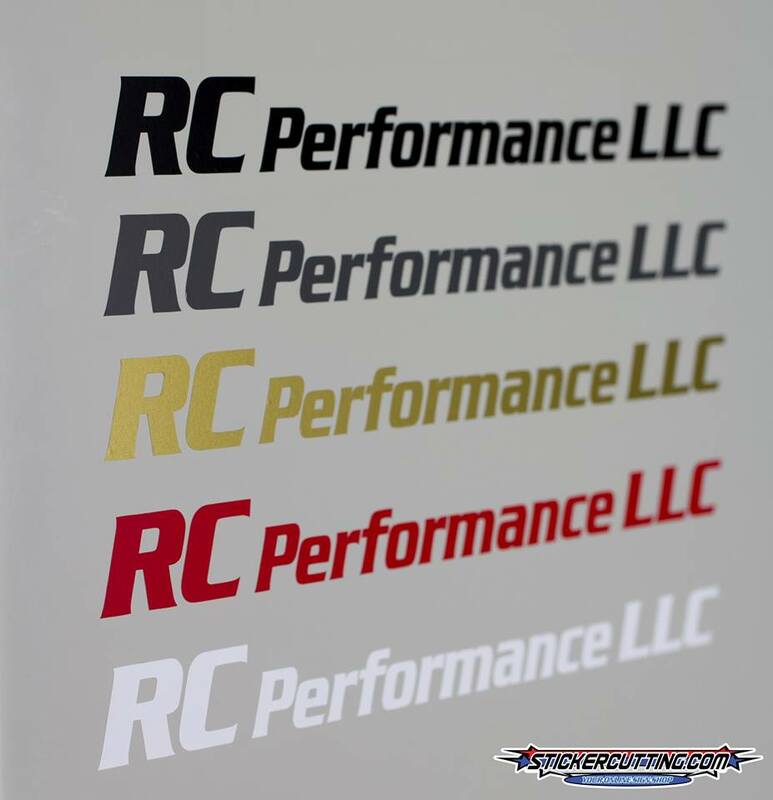 Over the years our customers have proven that company window stickers generate returns for their business, and they sure do look nice while doing it! Cut Type: Single color – Black, Dark Grey, Gold, Red, White Vinyl used in photo above. Standing out in the business world is an ever changing challenge, but many of our customers recognize that even the small details matter to standing out. Recognizing how, where and when you want your stickers to be seen can be critical to giving your brand that extra bit of visibility. A larger sticker could be needed to be legible from so many feet away, or a smaller sticker may be needed to be a subtle compliment your brand, while still getting your message across. More people may look at a certain area of your product more, so a label would be best applied to the most visible area. 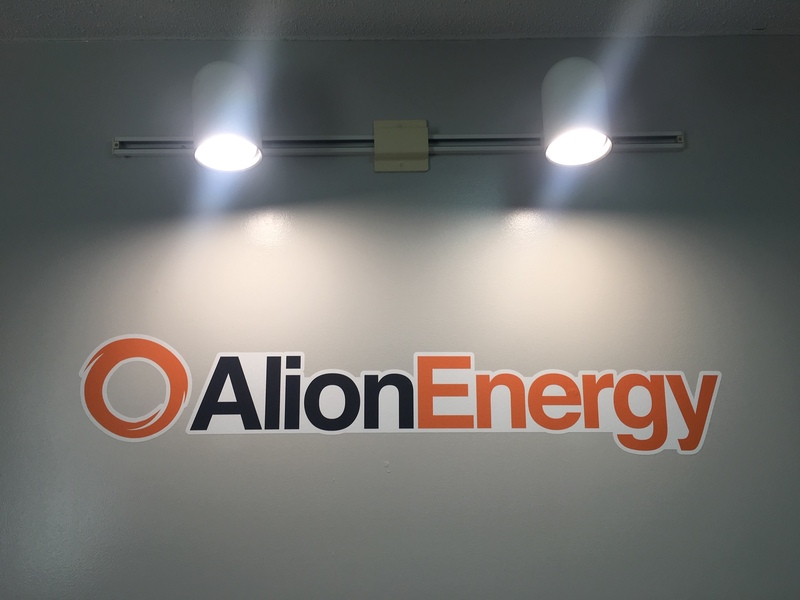 You may want your logo to be seen during the day and night, which is where our Reflective Stickers would be a great solution. Not ready to move to stickers quite yet? Print your logo at the desired size on standard white computer paper before moving to printing custom stickers. 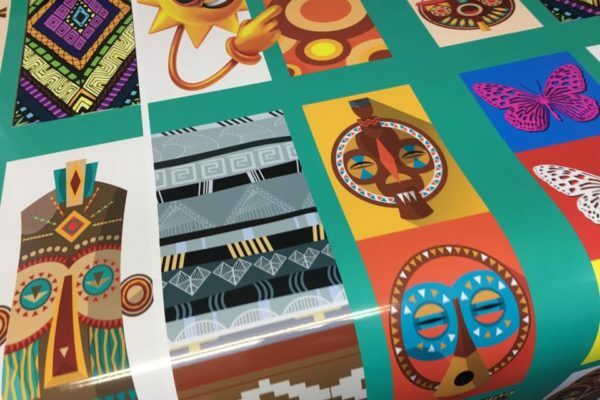 This will allow you to establish an overall size, look and feel before moving to sticker production. First, design your logo at the exact size you think you need it made into stickers in. Next, load in some standard computer paper, print your design, then cut your logo out with scissors and hold it up your application area! 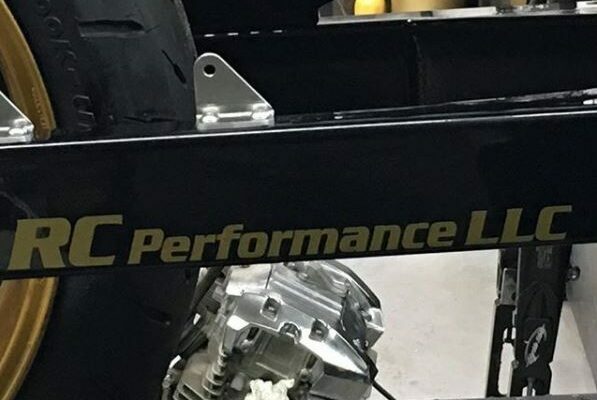 Adjust your logo as needed, and reprint until it’s perfect. Bingo, you have made a perfect sticker preview with no wasted resources. Getting the best result doesn’t always require expensive software or expensive design services, there are many design programs available that are free of charge that allow you to use your skills or establish new ones. Free to download design software like InkScape and Gimp are a great way to get started! Some of our customers also choose to hand draw their images, sending us the scanned in images for print. We have the ability to print the images directly from their hand drawings, making some beautiful results. Whether you start with the most expensive software or the Free software, we always recommend getting into graphic design, it’s an extremely rewarding way to express your ideas! Artwork Provided: Customer provided, we added in circle cut. 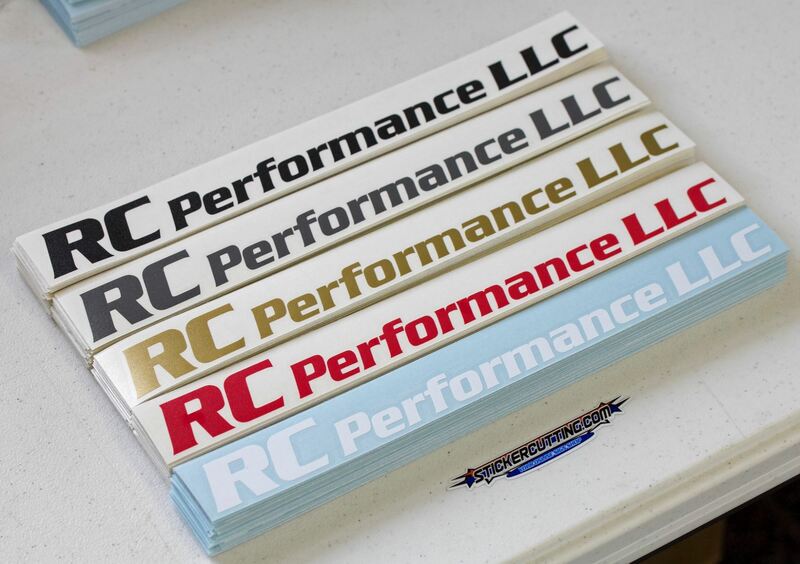 We offer two laminate options for our Premium White Stickers, Matte and Gloss. 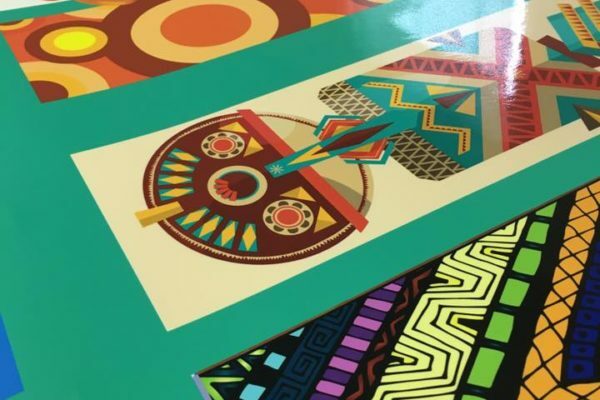 Customers going for the brightest color pop and brightest colors, focus on our glossy laminates. Matte laminates remove the color pop from your design, which isn’t always a bad thing when your design requires a more subdued look. 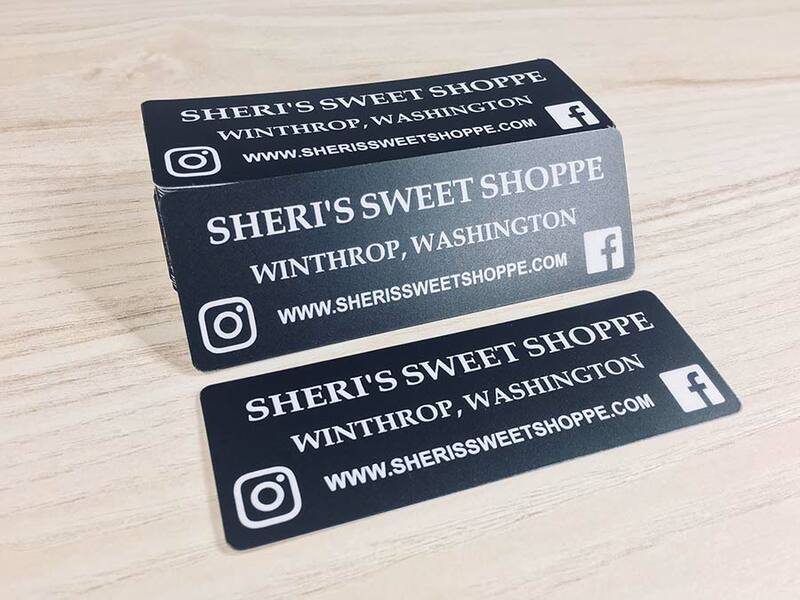 These Sheri’s Sweet Shoppe stickers had to match a flat black surface they were being applied to, so a matte laminate was perfect for this application.